The King of burgers now offers Grilled Hotdogs!! Thats great news if you like fast food hot dogs. The choices are Classic, and Chili Cheese. The calorie range is from 300-330, depending on your toppings. 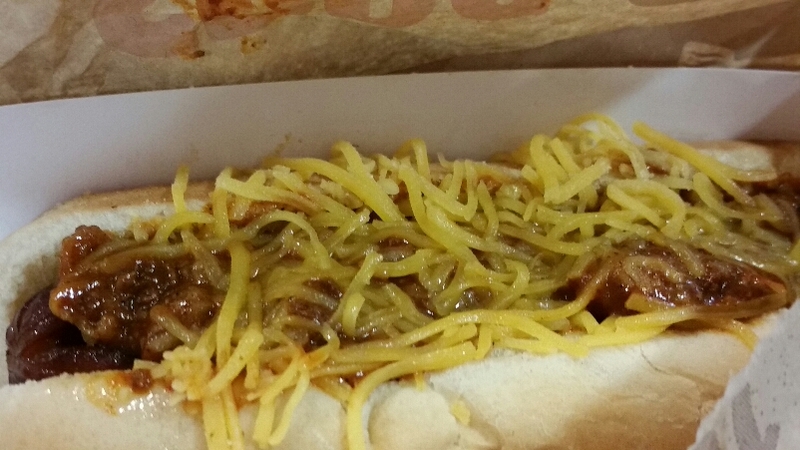 Pictured here is the loaded Chili Cheese dog. The taste? Not at all like a backyard BBQ. Couldn’t really detect a flame grilled taste. The chili had an off taste, like an over-processed canned chili. Can be a bit messy to eat, so we recommend you do not eat this in your car. Good enough to order this again? Not likely, as this didn’t have that Classic hot dog taste. 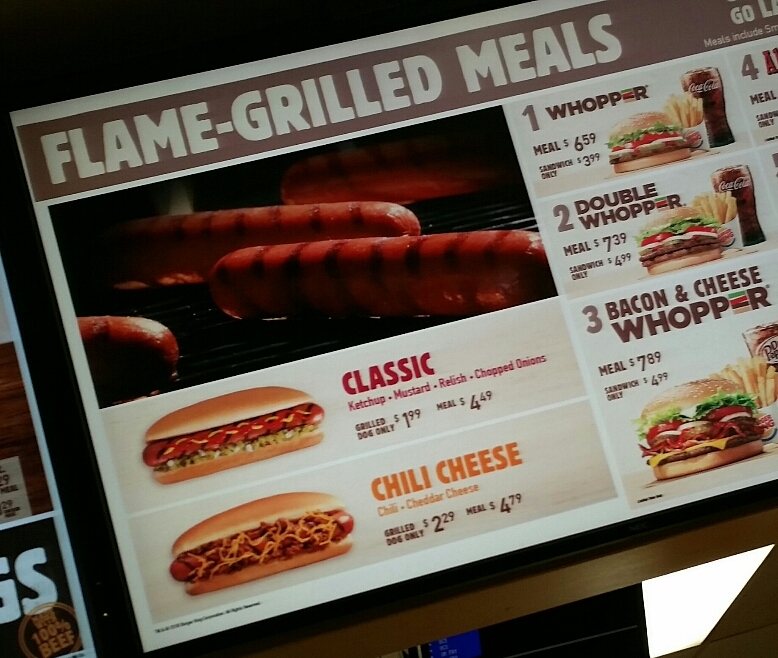 A plain Burger King hot dog is a little better because you can get the grilled taste, but still not a super-must-order item. The prices are pictured on the menu photo.